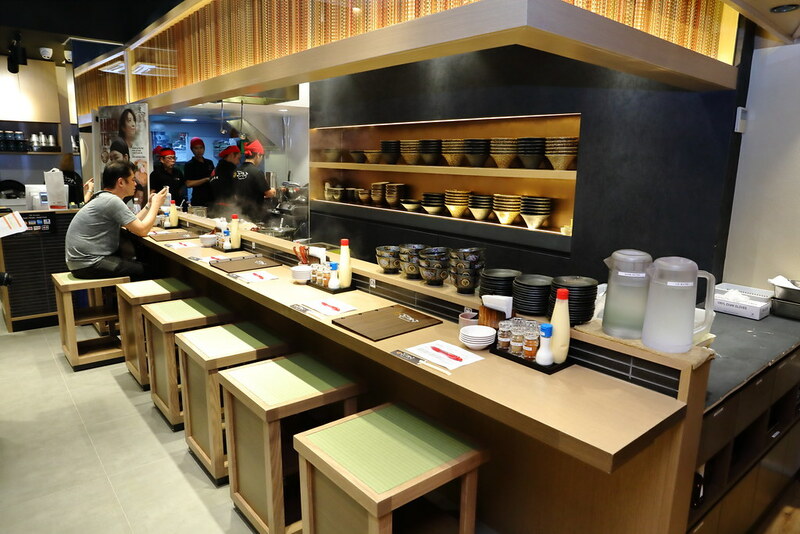 Ramen King, Chef Keisuke Takeda has added another new concept to his ramen empire in Singapore. 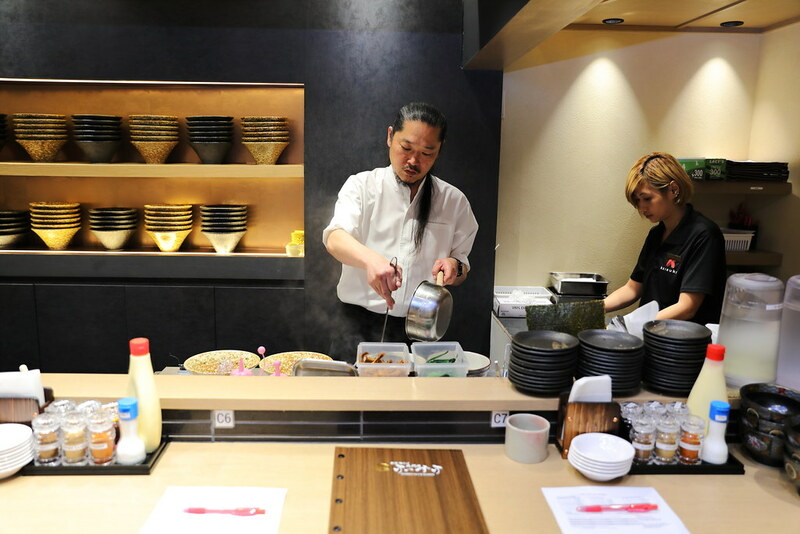 His latest concept, Ginza Kamo Soba Kyudaime Keisuke is a dedicated duck ramen restaurant at Holland Village. 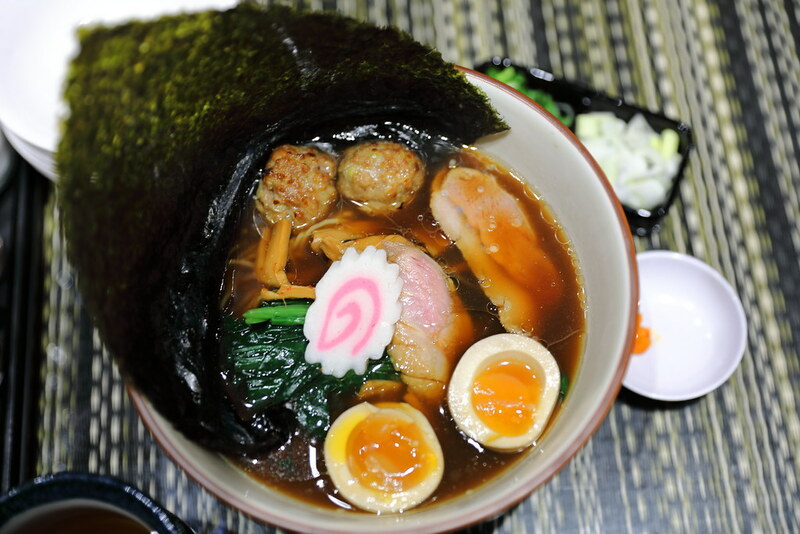 The Hybrid Duck Broth Ramen, Clear Soup ($19.90 special) consists of two slices of duck, two yuzu duck meatballs, seaweed, flavoured egg, spinach and seaweed. The distinct flavour of the duck can be tasted in the clear soup which is prepared using the whole Irish hybrid duck and kelp, simmered over low heat for 5 hours. If you are not a fan of duck, then you will find the soup a bit ducky for your liking. The Hybrid Duck Broth Ramen, Rich Soup ($19.90 Special) will be closer to the tonkatsu style ramen that we are used to. It is more creamy and salty compare to the clear soup. Like the clear soup version, it also comes with two slices of duck that has been first grilled, before it is marinated in a shoyu based sauce. Lastly, it is steamed at 65 degree Celsius for juicy and tender bite which actually tastes a bit like liver. I am receptive to the flavour but it may be a bit gamey for some. 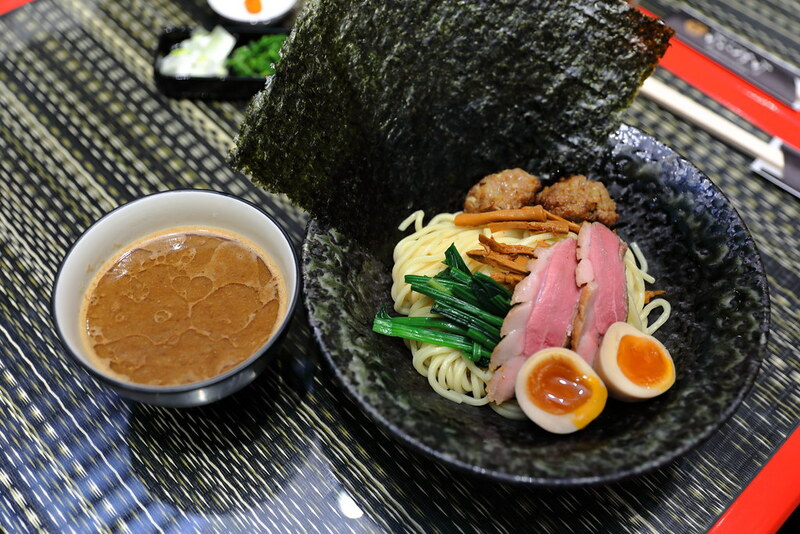 The noodle used for the Hydrid Duck Tsukeman, Dipping Noodles ($19.90 Special) is thicker than the soup version. The accompanying bowl of rich duck soup is further enhanced with bonito flakes for that extra punch. Dip the noodles into the soup, coating them for that slurping goodness. With the soup version, there is a dry version too. 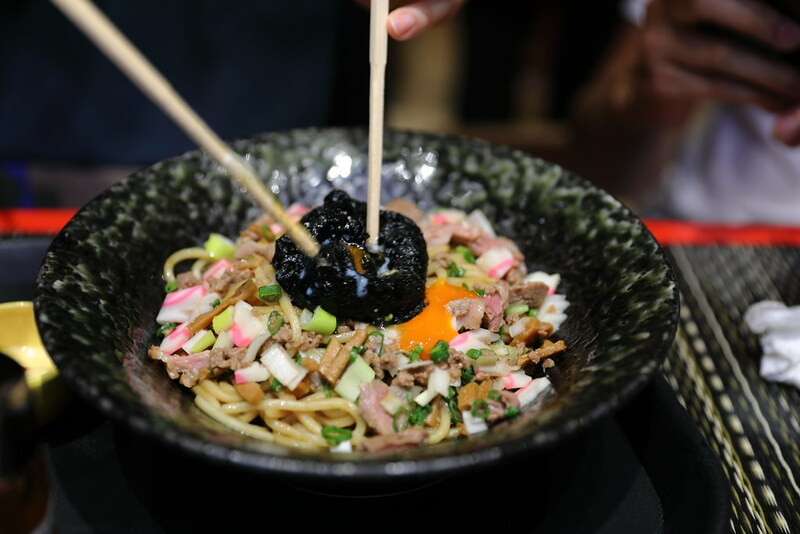 The Hybrid Duck Maze Soba, Dry Noodles ($14.90) consists of steamed duck pieces, bamboo shoots and a deep fried egg wrapped in seaweed. Break the egg and give the bowl a good mix before eating. There are 4 ways of eating it. First is just have it on its own after mixing all the components. You can also add chilli, orange vinegar or mayo orange to alter the appreciation of the noodle. 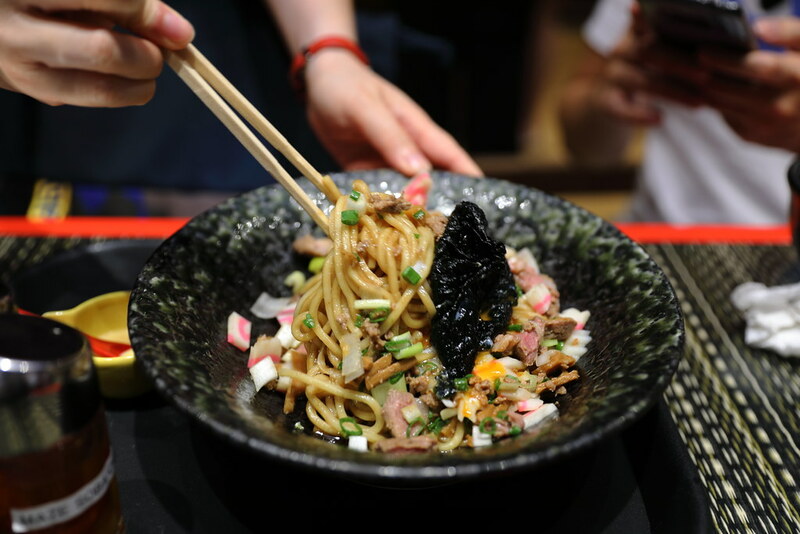 My personal recommend is the orange vinegar which gives the noodle a new whole dimension. Besides the ramen, not to be missed is the Kamo Ju ($29.90). 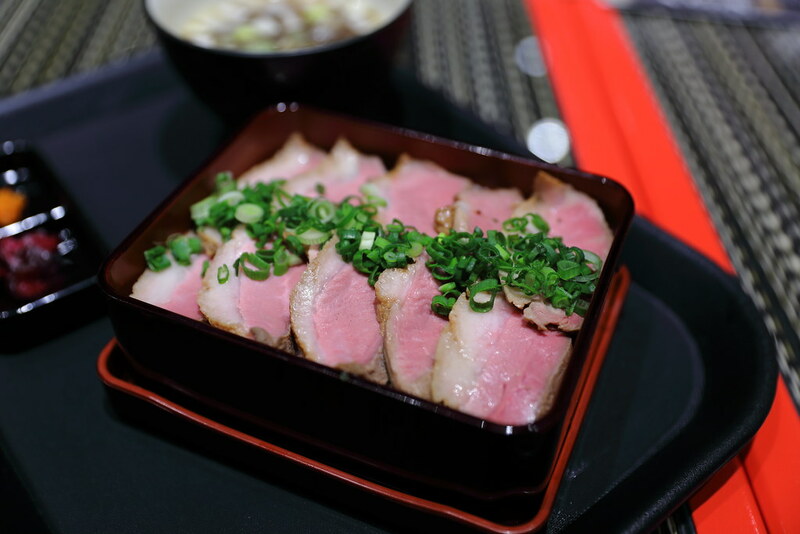 Opening the bento box, you get 10 slices of the tender duck meat that has been cooked to a beautiful pinkish colour, on top a bed of rice and topped with spring onions. 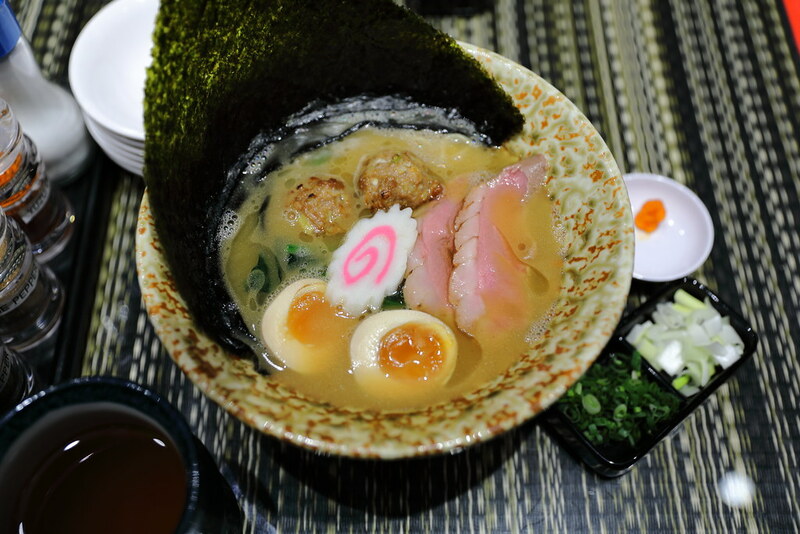 I really applaud Chef Keisuke Takeda's continuous creations to bring new flavours to the traditional ramen. After trying out his lobster ramen back in 2016, I thought that was probably the limit but never would I have expected him to open Kaisuke Duck Ramen. 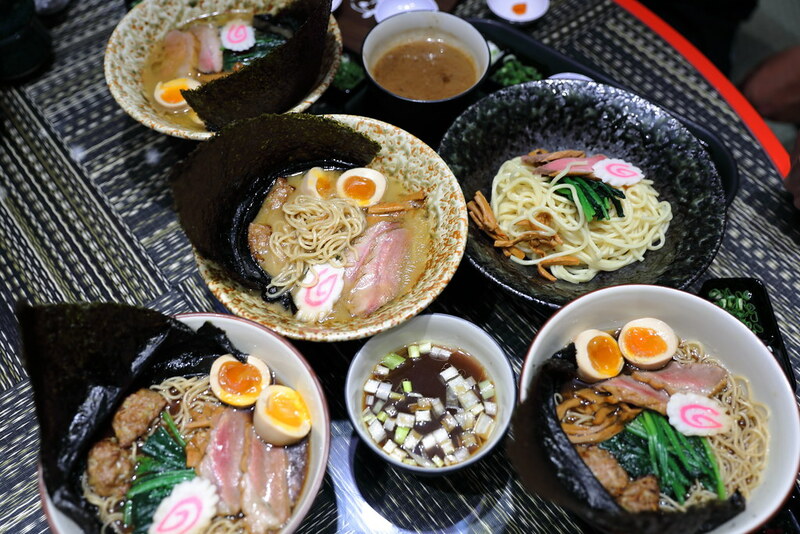 You can taste that his duck ramen is not merely by putting different components together but each process from the soup, duck and noodle is carefully thought through and probably many months of taste test until the right formula is obtained.